Click here to schedule an appointment for a complimentary consultation! At Park Slope Laser Aesthetic Center we believe in enhancing your natural beauty a variety of aesthetic treatments, skincare and beauty services without going under surgery. We welcome women and men for a complimentary analysis for the best treatment plan tailored to your specific concerns. Our team of treatment providers earned its excellent reputation by catering to the comfort and privacy of our clientele. 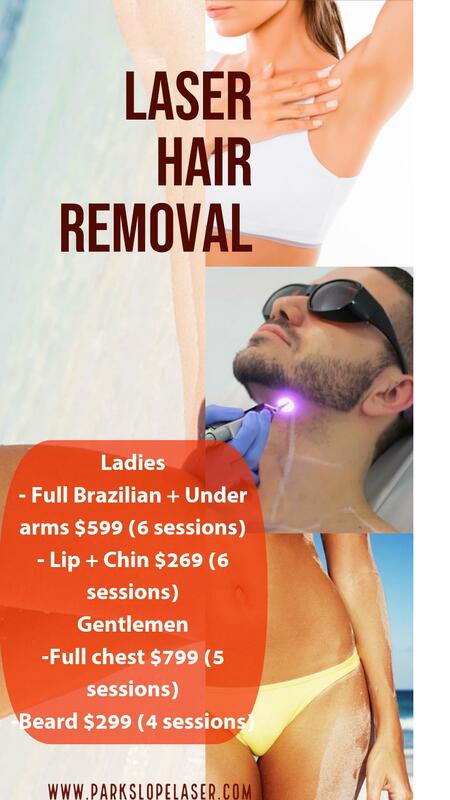 With light-based hair removal, you can get the touchable skin you’ve always wanted. All you need is a few simple treatments to get lasting results. Minimize fine lines and wrinkles and improve the appearance of cellulite. Beautiful skin, beautifully simple. Nonsurgical body sculpting can help you achieve your ultimate weight loss goals, but it’s sometimes hard to know which technology is right for you. Will IPL Get Rid of My Acne Scars? Acne scars result from over or under-production of collagen as your acne outbreaks heal. Intense pulsed light (IPL™) treatments may present the most effective non-invasive treatment to counteract the bumps, pits, and redness that persist after outbreaks. Advanced laser technology makes it possible to remove unwanted spider veins safely, quickly, and without surgery. Read to find out how laser vein removal can help you get the legs you've always wanted.